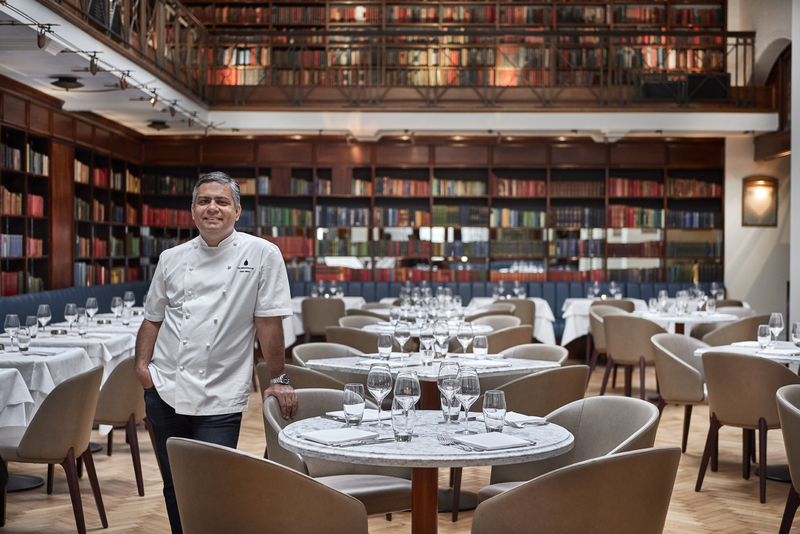 Vivek Singh is the Executive Chef and CEO of five restaurants – The Cinnamon Club, Cinnamon Kitchen, Cinnamon Bazaar, Cinnamon Kitchen Oxford and Cinnamon Kitchen Battersea. 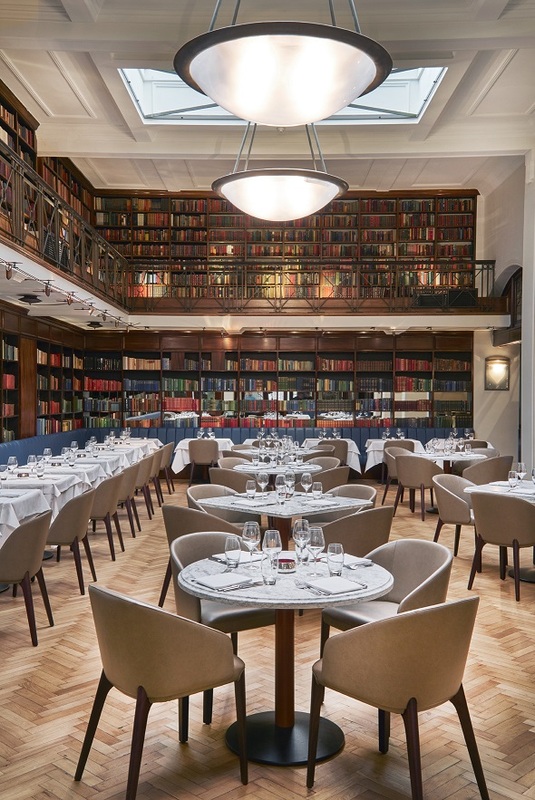 With exquisite food at the top of its genre and a stunning site in the heart of Westminster, The Cinnamon Club is a landmark London restaurant with real wow factor. Since first opening its doors in 2001 at the old Westminster Library, The Cinnamon Club has been redefining the expectations of Indian cooking. Encompassing the varying flavours and assorted ingredients of different regions, dishes are immaculately presented and designed to reflect the culinary traditions and depths of Indian cooking. With a commitment to using only the freshest, most seasonal ingredients and spices, The Cinnamon Club is widely regarded as one of the finest Indian restaurants in the world. 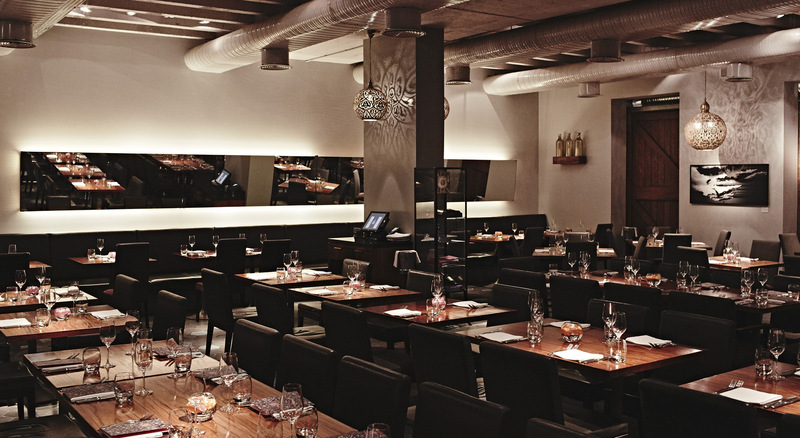 Rather fittingly located in the historic East India Company spice warehouses, now transformed into the Devonshire Square development, Cinnamon Kitchen serves modern Indian cuisine inspired by the same ethos of the highly-acclaimed Cinnamon Club but in a more relaxed and informal setting. 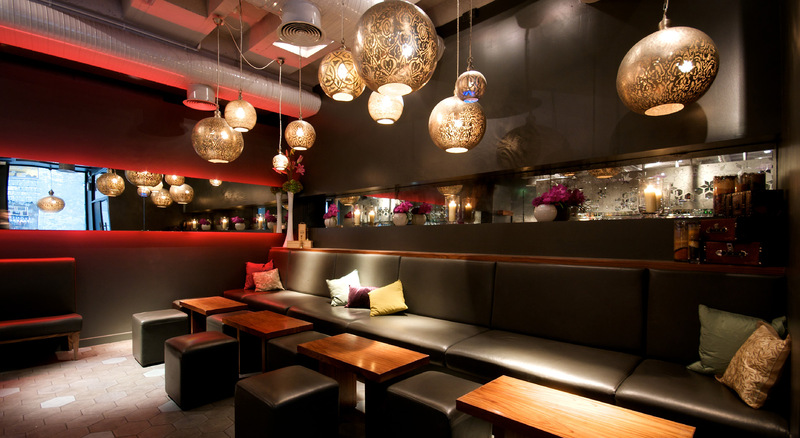 Cinnamon Kitchen offers everything from a spicy lunch to a decadent dinner or the thrill of the capital’s first tandoor bar and grill, where diners can watch the chefs in action. The restaurant also boasts its own dedicated cocktail bar, Anise, a smart neon-lit late night spot offering a range of unique spicy cocktails and dancing long into the night. Inspired from the spirit of Cinnamon Soho that launched in 2012 just a stone’s throw from the cobbles of Carnaby Street, Joho Soho is Cinnamon’s happy-go-lucky style mobile eatery. Joho Soho carries a “whatever happens, happens”, relaxed and positive style of life. 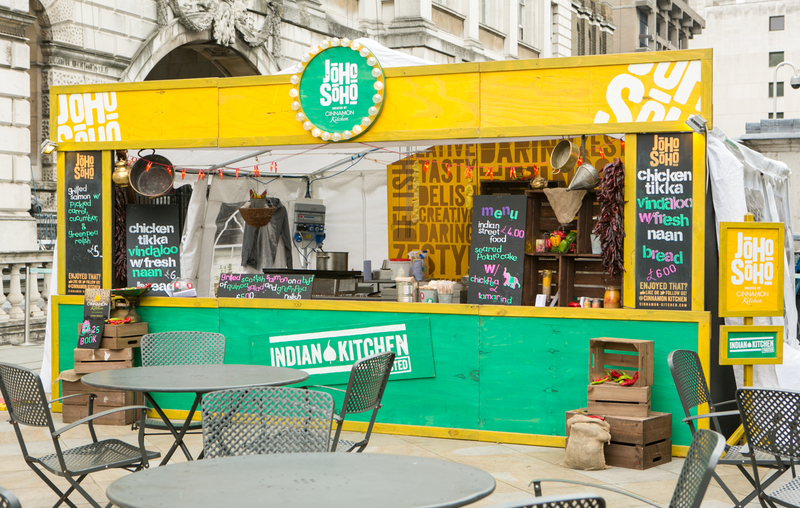 Joho Soho travels wide and far to bring signature Indian street food to various food festivals, fairs and music events throughout the country. 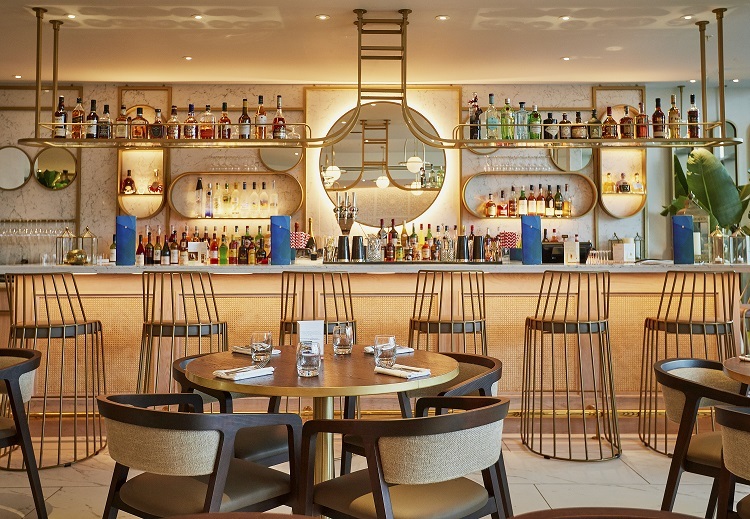 Cinnamon Kitchen’s adjoining cocktail bar, Anise, has been revamped and relaunched to become the place for after work cocktails in the City of London. Just a briefcase’s throw from Liverpool Street in Devonshire Square, Anise now has its own entrance to become a decadent destination drinking den in its own right: inside, discerning drinkers and cocktail connoisseurs can expect similarly stylish, spice-infused cocktails as its predecessor, a menu of modern Indian bar snacks that draw on inspiration from the next-door best Indian restaurant – Cinnamon Kitchen and the kind sleek interiors that wouldn’t look out of place in a glossy design mag. 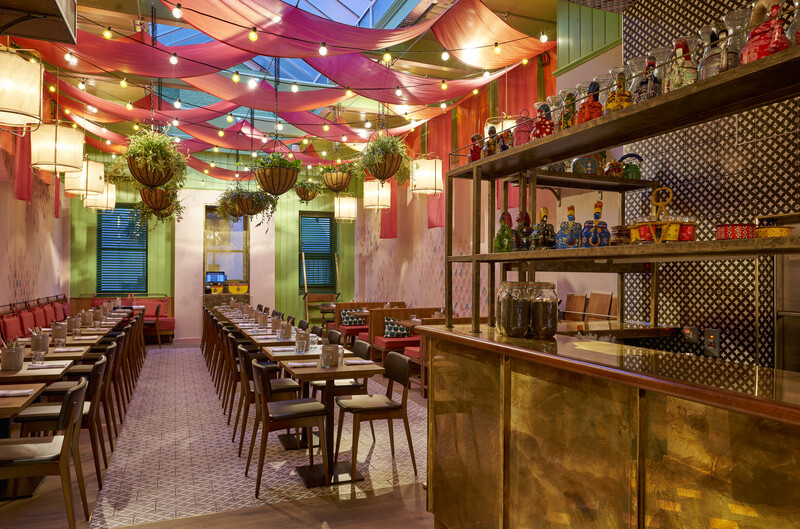 Located in London’s vibrant Covent Garden, Cinnamon Bazaar is an all-day dining concept that mixes real Indian heritage with urban London. It is inspired by the marketplaces or bazaars that lie on the various trading routes that connect the empires of the Old World. A Bazaar was a place to buy, to sell, to exchange, to explore, to learn, to share, to entertain and be entertained. Cinnamon Bazaar aims to draw inspiration from the colours, the sounds, the smells, the bustle and energy of these bazaars that have for centuries been changing our tastes, by exposing us to new tastes, new things, new ideas all the time. The cross cultural dining experience embraces the democratic spirit of a bazaar, making it a real cultural melting pot – the perfect place to eat, drink, relax and celebrate. Serving breakfast, lunch, afternoon tea and dinner, it’s a place where guests can come at any time of the day or night whether it’s a feast with family or a friendly chat over a chai. Cinnamon Kitchen Oxford is a relaxed all-day dining concept and the first restaurant of the Cinnamon Collection outside of London. Menus carry the same ethos of innovation and creativity as its sister restaurant Cinnamon Kitchen in the City, using fresh and seasonal ingredients. At Cinnamon Kitchen Oxford a prominent bar is the focal point of the room, perfect for pre-dinner cocktails and drinks during the day. Theatre, flair and interaction are key to the Cinnamon Kitchen experience. An expansive, open-plan kitchen gives diners a view into the midst of the cooking action. The absolute jewel in the crown is the rooftop garden terrace giving stunning views and overlooking the Oxford spires. The restaurant is located in the Westgate Centre in the heart of cultural Oxford. Cinnamon Kitchen Battersea is part of the first chapter in the exciting regeneration of the Grade-II listed Battersea Power Station. The restaurant, housed within a railway arch, serves contemporary Indian dishes just like its sister restaurants in the City and in Oxford. Besides a few Cinnamon Kitchen classics Cinnamon Kitchen Battersea also offers a range of new and unique dishes. Imaginative cocktails and bar bites are inspired by dishes found on the Delhi Jaipur Pink City Express route. Enter through the dramatic railway arch opening and discover an edgy, modern dining room with exposed brick walls. The black concrete bar is the ideal spot to sip on a spice-infused cocktail whilst added theatre comes from the expansive open-plan kitchen. 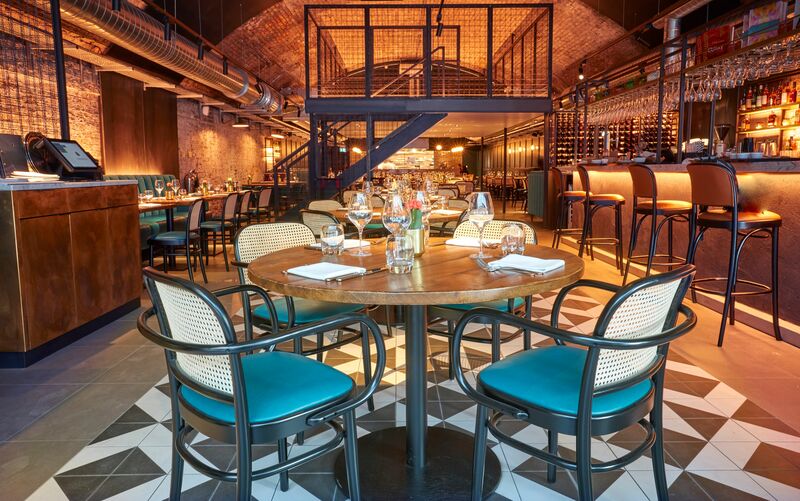 A private mezzanine dining room, overlooking the restaurant, is the ideal space for events and celebrations whilst a large outdoor terrace with sweeping views across the Thames is a sublime spot during summertime.